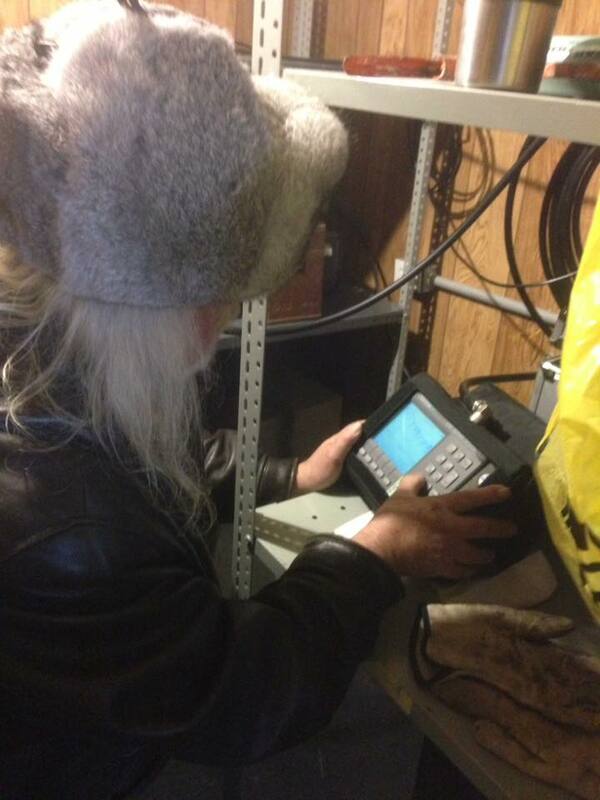 A big thank you to the crew who volunteered their time to get the VO1BT Holyrood repeater operational again. The tower (which was already due to be replaced) lost its top half in the March wind storm. Despite a cold and windy day (-15 wind chill! 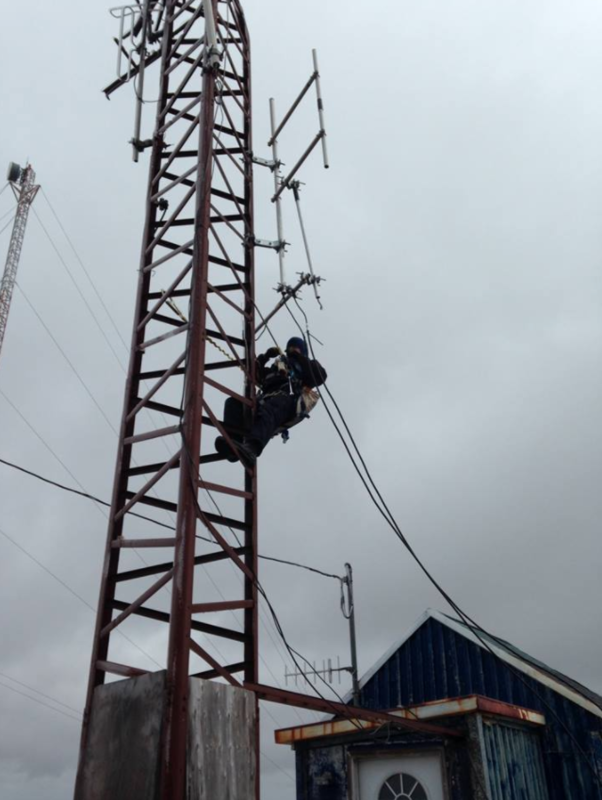 ), on April 19th, we were able to put some temporary measures in place to get VO1BT back on the air using the lower half of the tower and some alternate antennas. If everything goes according to plan, we will be returning on a much warmer summer day to erect a new tower and perform some additional upgrades! This temporary fix should tie us over for now. Also, a repair was made that brought the repeater output from around 1 watt to about 22, so you may notice an improvement even with the lower height. 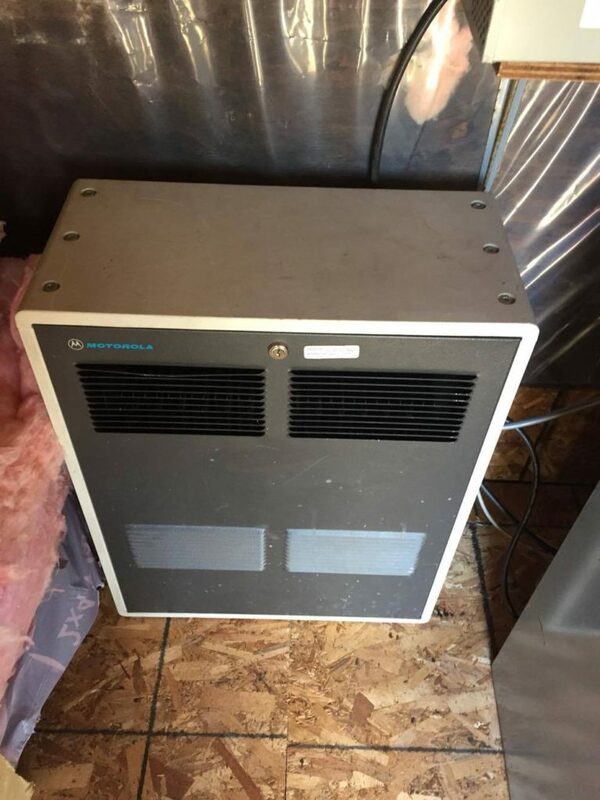 For a bit of history about this site, the next tower will be the 3rd here for a ham repeater. The one pictured is the second, which was put up in the 80s. The concrete for the original tower is located behind the shack. Also, if you look closely you can see the original small shack and the larger part (with the peaked roof) which was built on afterward. Miraculously, the falling tower did not take out our electrical service! Chris & Joel (VO1FMJ) on the tower rigging the temporary antennas. This picture does nothing to show the strong winds and -15 windchill! Mark VO1MRK supervises from the ground. Doug uses a SiteMaster to sweep the lines and antennas. 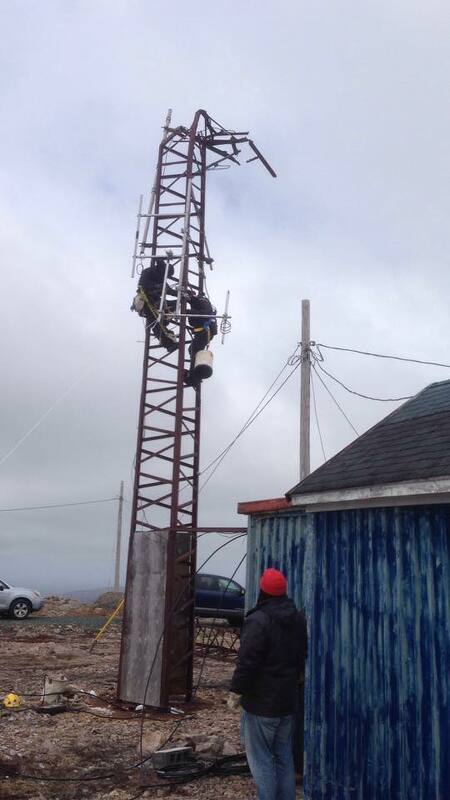 A faulty antenna sends Chris back out into the cold and up the tower to swap it out! We’re thankful the shack has a heater. 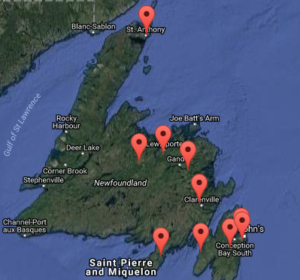 Finding a linked repeater in Newfoundland is now much easier, thanks to a new interactive map on our website. This will be particularly useful to tourists or those unfamiliar with Newfoundland geography. Rather than a text list, you can now use this Google Map to explore and see all local repeaters on the linked system. These VHF repeaters are linked to each other, and generally, have the most activity since people can talk from all over the island. 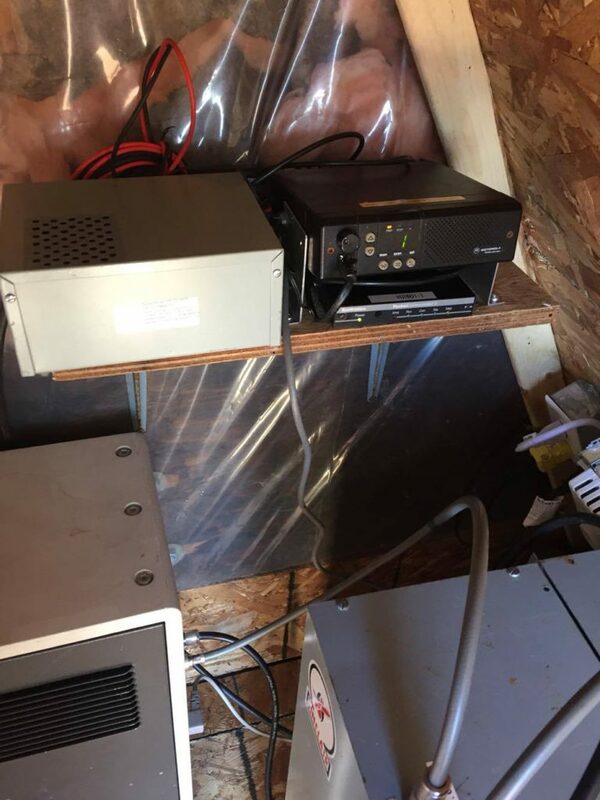 We may someday have every repeater in the province, and other things like APRS, etc, listed. It is a time-consuming process, so we’ve started with what will benefit the highest number of people! VO1BLR Birchy Lake Repeater ONLINE! Great news! 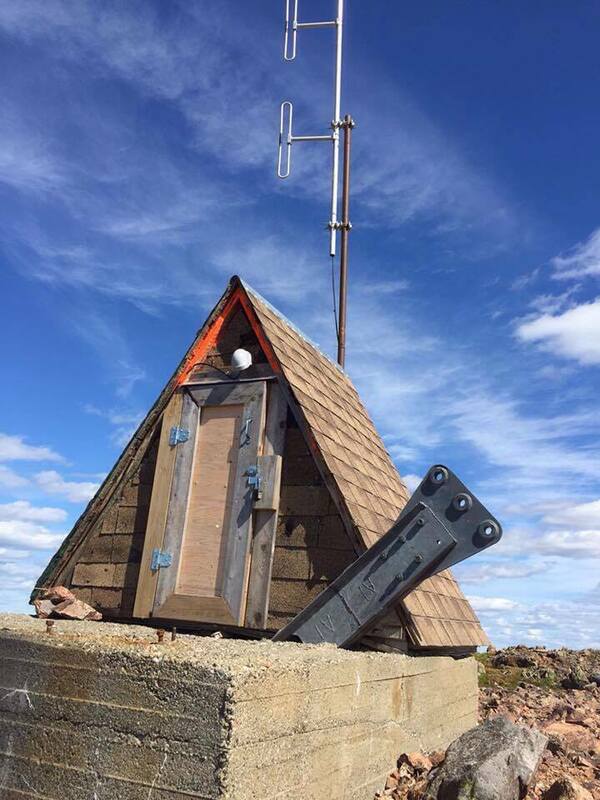 The VO1 BLR Birchy Lake Repeater is once again ONLINE after some hard work and contributions. For a full list of those who helped with the project, please see our previous post. 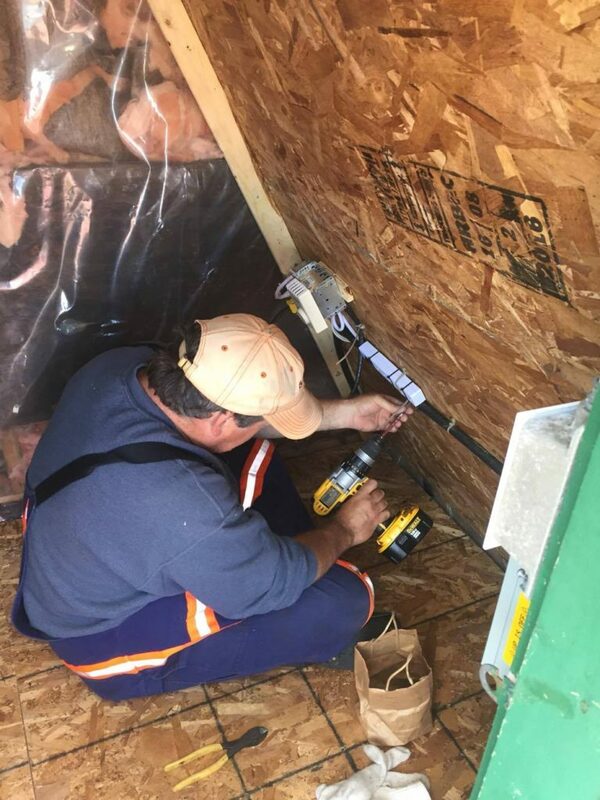 VO1MXZ & VO1VXC continued upgrade work this past week with new electrical, insulation, vapour barrier, floor & heating system. Oh, and of course the repeater! It is online with APRS and CW identifier at 146.640-. A few minor things left to complete at the site, but it is now operational and ready for winter. Thanks to all those who helped make this project happen! VO1BLR is a standalone repeater, but hope is to someday connect it to the NL Linked Repeater System. It is now on the linked system. 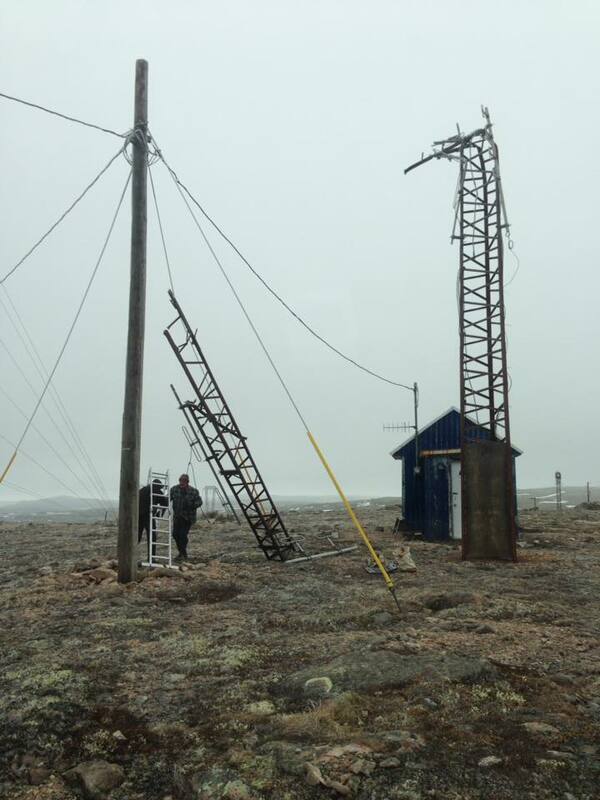 VO1MXZ is the lead on a project to rebuild the VO1BLR repeater in Birchy Lake, NL. Once complete, it will operate on on 146.640 MHz with a negative offset. This site will feature APRS capabilities as well. It’s coming along, but there’s still some work to be done before it is operational. We will post updates here, as well as Facebook and Twitter once it’s ready to go. Pictures of the work are below.